We’ve been looking out for Kiwis since founding in Christchurch in 1926 as the South Island Motor Union (SIMU). From humble beginnings, AMI Insurance has changed a little bit over these past 91 years, which has involved us becoming part of IAG, the largest insurance group in New Zealand and Australia. We know that the world is changing with technology, lifestyles and attitudes, so we’re making sure that we continue to strive to be readily available and relevantly accessible to all our customers. This thinking has helped us to become one of New Zealand’s leading general insurers. But we haven’t stopped there, we make sure we’re here for you through the thick and thin of it all, for whatever you need – big or small claims. Each one is important to us because we know when someone has your back, you can relax and enjoy life that little bit more. We know not everyone in New Zealand have the same requirements when it comes to insurance. That’s why we’ve got an extensive brand and agency network nationwide, so there’s always a genuine local expert right in your community who understands your personal insurance needs. As an insurance company, we’re pretty big on being a part of our communities. Understanding Kiwis goes a long way in being there when times are tough. We look to support organisations with more than just funding, we get involved to help achieve goals and get things done. We participate with organisations across the country providing them with the support and resources they need to make New Zealand a better and safer place to live. At IAG, we believe in having an inclusive and supportive environment where everyone is able to be true to themselves and know that they belong here at IAG. We’re focused on ‘making your world a safer place’ for our people, our customers and our communities. 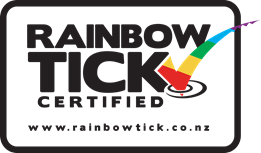 Our participation in the Rainbow Tick programme enables us to build a diverse community and an inclusive place to work where we celebrate what makes us unique. AMI is a member of the Insurance Council of New Zealand (ICNZ), an industry organisation which represents fire and general insurers in New Zealand. 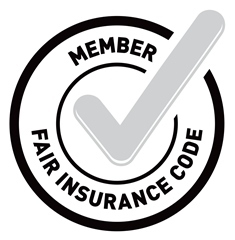 As an ICNZ member, AMI abides by the ICNZ fair insurance code. Additional information, including consumer advice about insurance, is available on the Insurance Council of New Zealand website.